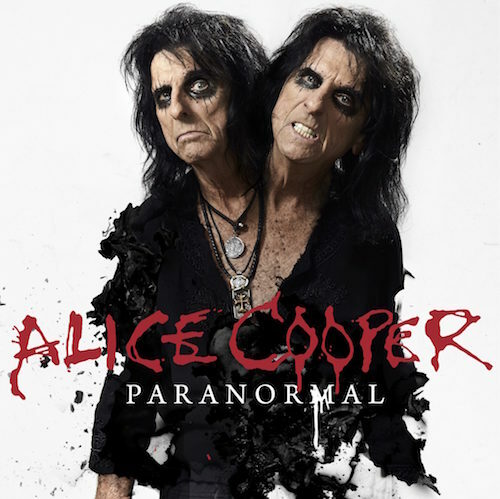 Alice Cooper has released a stream of his new track Paranoiac Personality. It’s the first material from the legendary shock rocker’s upcoming album titled Paranormal, listen to it below. Paranoiac Personality is now available to purchase on iTunes and is backed with a live cut of I’m Eighteen, which was recorded in Dallas with the Original Alice Cooper Band. The new album will come bundled with a bonus CD featuring studio recordings with original Alice Cooper band members Dennis Dunaway, drummer Neal Smith and guitarist Michael Bruce. Paranormal also includes guest appearances by U2’s Larry Mullen Jr, ZZ Top’s Billy Gibbons and Deep Purple’s Roger Glover. Cooper is currently on tour in the US and has dates planned across Europe, North and South America, Australia and New Zealand later in the year. Great song! I have seen Alice live four times and his concert is a must see event. Looking forward to the album. Thanks for sharing.